Do you ever become so overwhelmed by something that you become totally unproductive – you actually freeze up? As a student I remember this happening often. I needed something to help me refocus. When feeling overwhelmed, have you ever found yourself doodling? Aimlessly doodling can be quite meditative and beneficial to our minds. I’m always looking for new coping stategies to teach my kids. Creative and independent ways that they can cope with stress and the feeling of being overwhelmed. 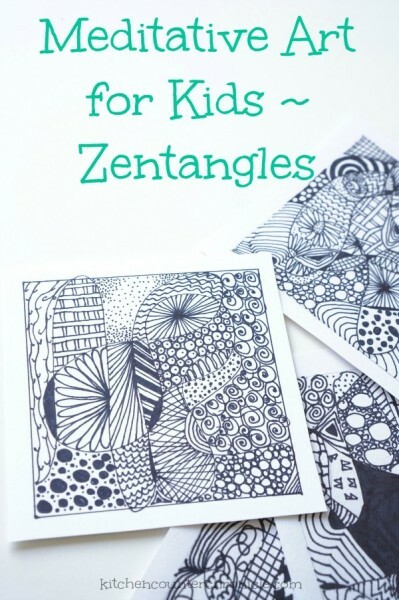 A few weeks ago I introduced the art of zentangles to my tween daughters. We have only scratched the surface, but we have discovered that zentangle for kids is an easily accessible, meditative activity. 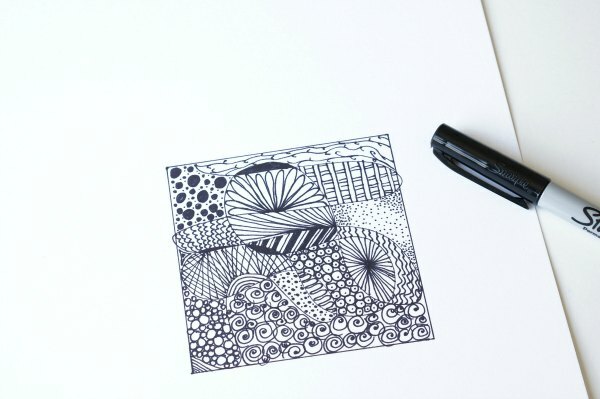 Okay, what is a zentangle? 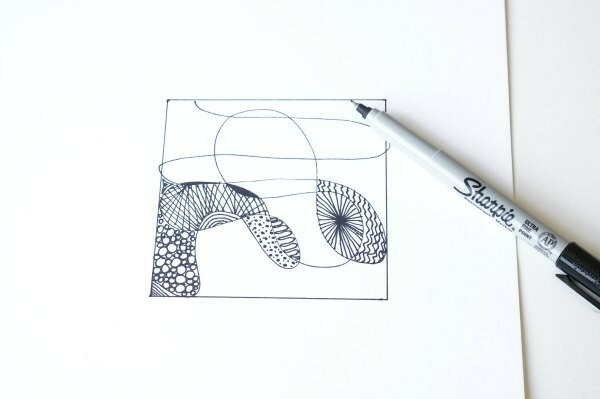 Originally I thought that a zentangle was just doodling…I was wrong. 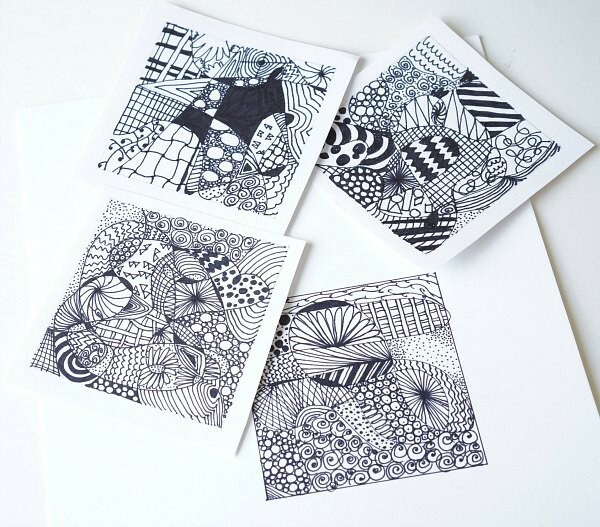 The zentangle method is a trademarked process based on a theory developed by founders Rick Roberts and Maria Thomas. 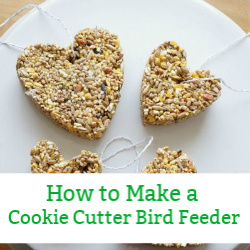 You have undoubtedly seen this patterning artform before, it has become incredibly popular. It is based on using a 3 1/2 inch square of heavy stock paper and a black fine marker and various patterns that turn into a creative piece of art. We didn’t follow the exact Zentangle method, but we had a lot of fun experimenting. Our zentangling was very informal. I drew 3 1/2 inch squared on heavy stock paper and with a fine tipped black Sharpie. We each drew free lines that started in one spot in our square and then looped and tangled its way around the square. Once that initial line was drawn, it was time to get creative with patterns. We each sat quietly, listening to music and drawing – repeating patterns in each section that was created by the tangled line. Some patterns were simple – waves, zig zags or dots. Some patterns were more intricate – radiating circles, basket weaving. There are an endless number of possible patterns to draw. It took us about 15 minutes to complete one square. 15 minutes sitting and drawing. Emptying our minds and letting our creativity flow. So, why do I think zentangling is a great exercise to introduce to kids? Well, I have a couple of reasons. Unplugged – Anything that can get children excited about not being plugged into a device is genius. Zentangling can be done anywhere and at anytime. All you need is a pen and paper. Bring a notebook to the park, while waiting at the doctor’s office, during recess..anywhere and anytime. No Mistakes – I have a little perfectionist, who always needs an exit strategy if something is going quite right. Mistakes are hard to move forward from…they can be debilitating. When you zentangle you use a marker – no erasers – and there are no mistakes only new and different patterns to work with. Calming – The simple act of drawing repetitive patterns is calming and relaxing. There is no pressure, just open ended drawing. While drawing, it is amazing how quickly your mind empties, your heart rate drops – there are no expectations with this form of art. The effect is meditative. I have written about the benefits of walking meditation before, well this simple doodling is another easily accessible form of meditation. When we completed a few squares I asked my daughters what they thought. Would they zentangle again? Yes! They both really enjoyed this new way of doodling. We talked about how zentagling would be a great study break activity. Feeling stressed and overwhelmed? 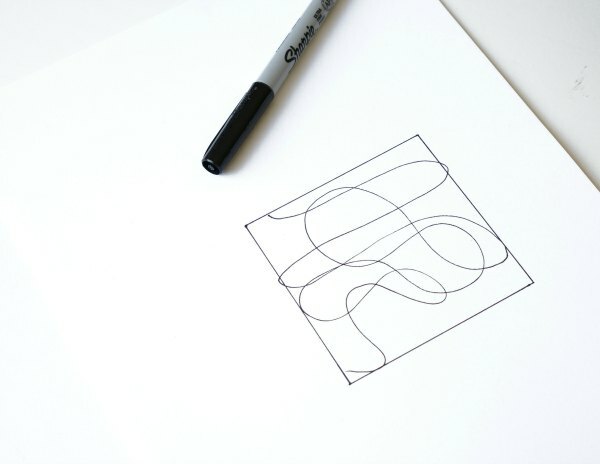 Stop, draw a square and make a tangle of lines…off you go. Do you doodle? 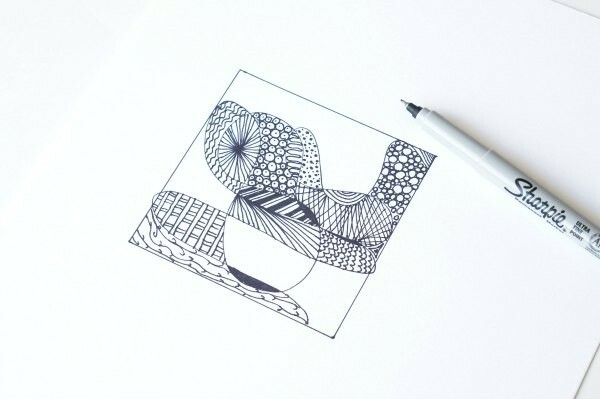 Have you ever tried to zentangle before? 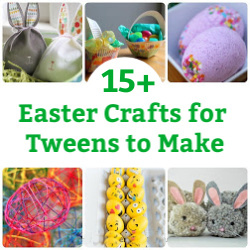 Looking for more crafts and activities that are great for tweens? 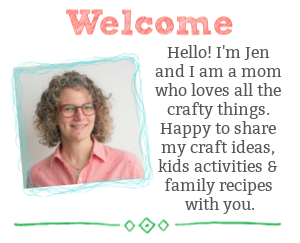 Check out our Tween/Teen board on Pinterest.